I got some new Paper Smooches goodies in the mail yesterday! I sat down right away and made these two simple cards. The first one uses Twiggy Florets and it is crisp, classic and 'coloured' with Stickles. The sentiment was a little gift that Kim generously put into my package. 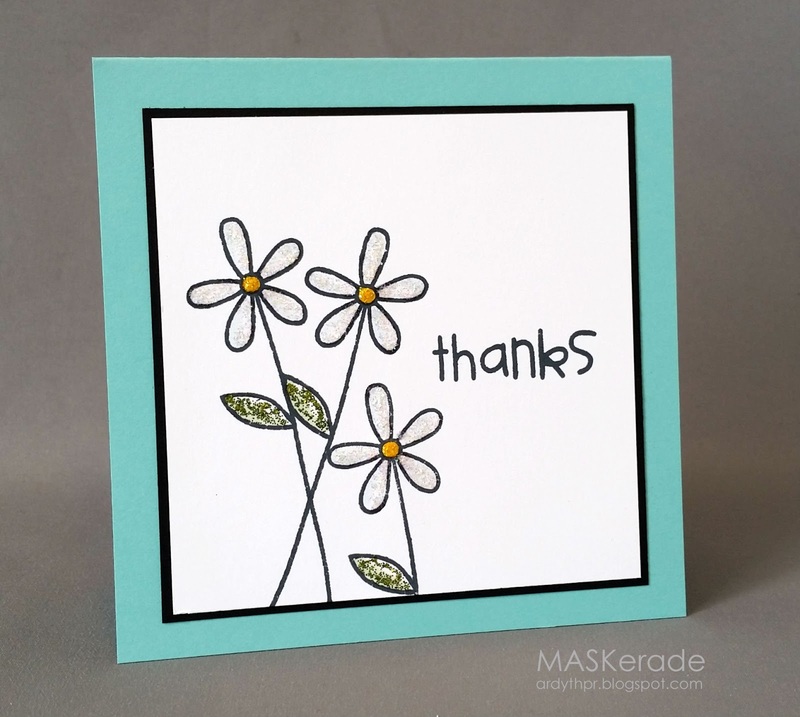 I backed it onto MFT Summer Splash cardstock for some colour and a fresh feel. The second is dramatic, but was very simple. 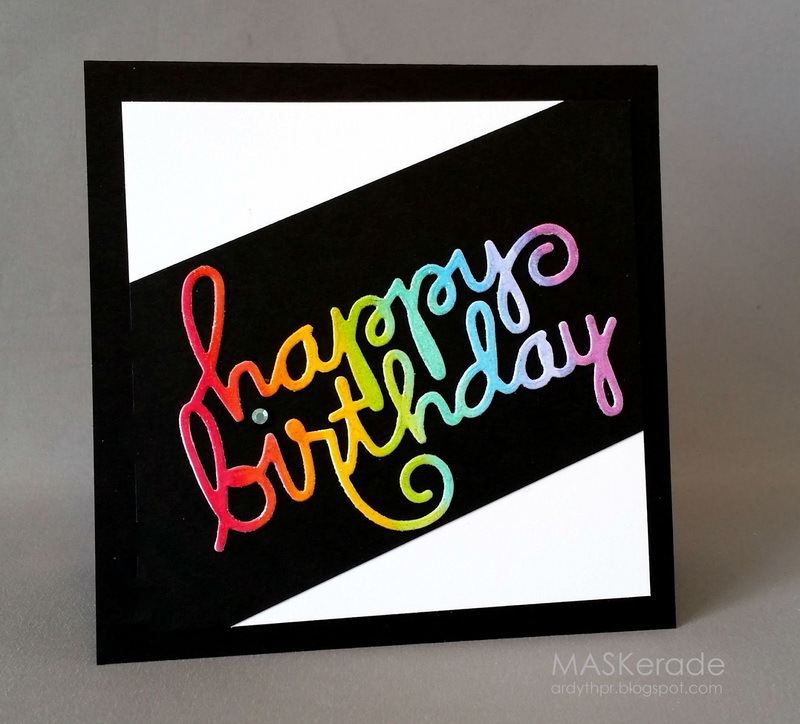 I ran the new Happy Birthday Words die through my Big Shot, left it in the cardstock and then coloured and blended over it with Copics in rainbow order. I lost the dot for the i somewhere along the way, so I substituted some bling for a festive feel! I love the rainbow sentiment, I have to try that technique and love how you colored your daisies with stickles Ardyth. Love, love, love these both! So crisp and clean! Beautiful cards, both of them. I especially like the floral against the turquoise paper... very classy. Great b-day card. No surprise that I love the bright colors and the blinged "dot". So...how long did you look for the dot before you gave up? I'm thinking at least 5 minutes...and I bet you even checked the bottoms of your feet...right? Another perfect CAS pair Ardyth! LOVE the birthday card!! Those flowers are sparkle-tastic and I love the rainbow birthday!